For Andrew Chase, DMD, MSD, Orthodontics is a family affair — working alongside his father Dr. Robert Chavez at ARCH since 1998. Together, they have improved tens of thousands of smiles and lives from Boston to Cape Cod. What’s kept him in the business? The future, more specifically, his patients’ future. Dr. Chase enjoys the satisfaction of knowing he can change the way patients of all ages experience life by correcting and perfecting something as evident as their smile. 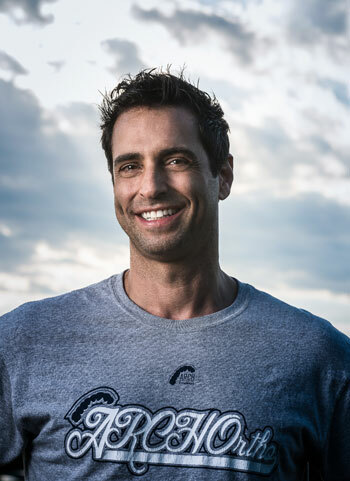 Dr. Chase grew up in the Bronx, but eventually settled in the Boston area where he started working with his father, Dr. Robert Chavez, founder of ARCH, and became engaged with patients and their families not just in the office, but also in the community. Dr. Chase stays busy outside the office with wife Kimberly and their two daughters, Chloe and Mila. He also enjoys boxing, working out, cooking, barbecuing, traveling, skiing, snowboarding, and just being outdoors.